Green Bean eco tableware is a collection of stylish single-use products for serving food. Sets of 20. Green Bean eco tableware is a collection of stylish single-use products for serving food, has a smart contemporary look and feel, and comprises plates, cutlery, skewers, party picks, chopsticks and cones. Perfect for posh, or casual parties, picnics or barbeques. Made from untreated, renewable woods in this case birch. 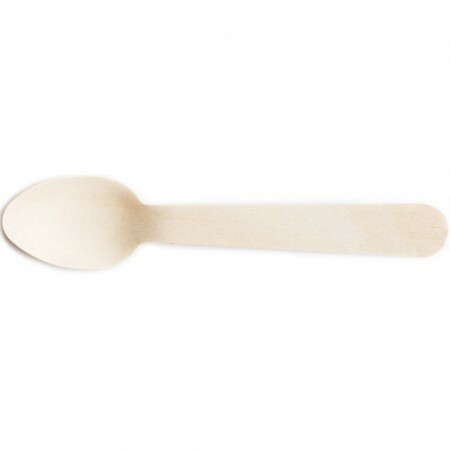 The range is disposable, biodegradable and compostable. It is not resource intensive to manufacture and is non-toxic on break down. 20 forks, knives or spoons. Browse our other eco picnic ware. These have been great while my son is learning to scoop food for himself and also for the inevitable times when he just wants to play with it and bang it on the table.